Bestselling Author, Indiefest and African Oscar Award Winning Filmmaker, Host of an African Oscar nominated TV Talk show, An African Heritage Leadership Award recipient and a globally sought after transformation interventionist, Princess Fumi Hancock delivers an inspirational and intriguing romantic suspense story, yet laced in mystery and comedy. 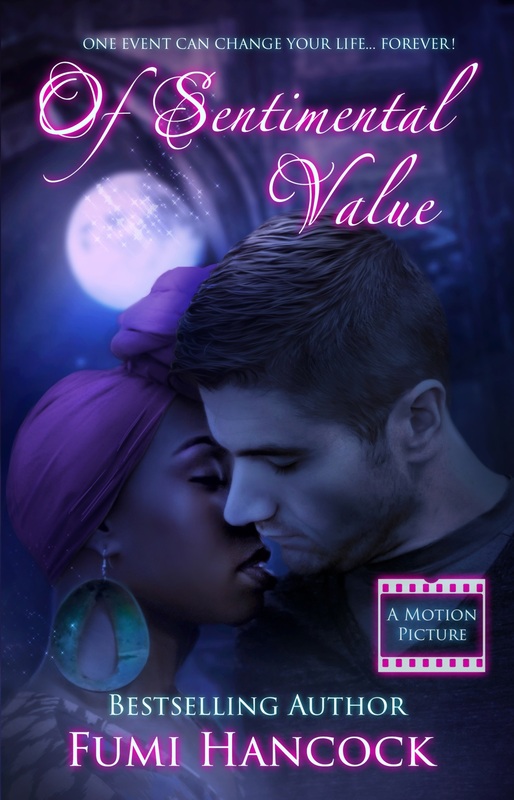 Of Sentimental Value, a titillating and jaw dropping adventure set between the deep rich forest of Africa and the southern flat plains of Nashville, Tennessee. A Twenty-one year old, Young African Immigrant, SIBERIA TONKA has all the ingredients of a successful writer: Commitment, dedication, and drive to become famous. Until her dream of becoming the next bestselling media sensation in America is threatened by an inexplicable cosmic force! Buried and spiraling in unsurmountable debt and a string of misfortune hovering over her, she is forced to pawn her most valuable possession. But when told her sister’s life in Africa hangs in the balance and that would die if artifact is not returned back to the rightful owners, Siberia in desperation sets out to retrieve the artifact at any means necessary. A Mystery enigma is released and the stakes are high! The harder Siberia tries… the closer she seems yet the farther she was from solving the turmoil. Alas, in the midst of this chaos evolves an undeniably love triangle between Siberia, a wealthy rugged-looking African, but Nashville-based, art collector (Alan) and a simple American consignment store owner (Jake). Will Siberia retrieve the artifact in time to save her dying sister, Naiya? Who / what wins her heart? Money or True Love? Starring Malik Yoba, New York Undercover and Tyler Perry’s Why Did I Get Married? and Tommy Tiny Lister, Deebo on Friday, 5th Element with Bruce Willis. Spiraling through the murky haze is a stream of white smoke; Africa’s humid and gloomy weather punctuated the striking of an African “bata” drum; a sign of impending doom in this Never-never land called Oyo, set majestically in the flat plain fields of West Africa. Wrapped in ruffled white sheets and face painted with pungent white chalk, distinct tribal marks from Oyo; she chuckles and giggles out loud, sometimes overpowering the African “bata” beats rippling the air. This enigma of a mystery woman’s deep tones carries with it an air of danger and magic. Her fiendish chuckles are exaggerated by her threatening mannerisms. She adds to the mystery in the air by thrusting out her spectacularly painted arms, holding a uniquely designed African clay pot filled with bubbling steaming water. The steam spiraling out of the magical pot is hypnotic. She begins to laugh again as the rhythmic African beat gently fades, instantly replaced by an urgent tick-tock sound, intensifying the anxiety. Seeing my clandestine woman’s animated and daunting striking face, Yemoji becomes boisterous as she squints her overpowering eyes; eyeballs fiercely protruding, eliciting intense fear in those who behold the strange sight. As the tick-tock sound gets louder, Yemoji abruptly clutches her magical pot to her bosom. Her arms stretch out with purpose, displaying her remarkably long claw-like nails. She beckons me closer. Yemoji welcomes hushes me into undeniably captivating presence, placing one finger to her sultry lips. Suddenly, the tick-tock sound intensifies yet again as Yemoji’s thunderous and wickedly cold laughter reverberates into the atmosphere. I began writing poetry my family just enjoyed reading. After few years and with people constantly telling me I was meant for this, I decided to take it seriously and began writing inspirational books for women. The Adventures of Jewel Cardwell: Hydra’s Nest is my very first Young Adult. I am so humbled by the experience and relishing every aspect of it. Many have asked me what my inspiration for Of Sentimental Value is? I was born in Africa but have lived in the United States of America for over 30 years. A little over six years ago, my father called me up and told me it was time to return home. I’d literally grown up in the US and this was home to me. Though father lived in the US too, he felt it was time to give back to Africa. This was an important trip for me as I’d not been back for over 23 years! The trip was equally important because one of my cousins was being crowned a king in one of the provinces and my father felt it was a great opportunity to reconnect with my roots. The journey was exhilarating yet filled with anxiety, as I did not know what I was going to encounter. I trusted my father, packed my bags and went back to West Africa with my family. It was the most incredible journey of my life… to witness a King’s coronation… no words could describe the feelings. What was more important was the surprise, which awaited me! The community people rallied around me and reminded me of who I was… their princess who had been gone for long and was now back! I took the time to revisit my childhood boarding school and low and behold, all of my experiences at the school came rushing back. The characters that readers will encounter in my first YA book, the Adventures of Jewel Cardwell as well as my newly released novel, Of Sentimental Value are a culmination of my childhood friends as well as “the conjured friends in my head.” These characters have consistently plagued my dream and haunted my mind into bringing them alive. Every year I would return to Africa (with my American Friends) serving the children in the communities through my non-profit organization the Adassa Foundation, I am reminded of the colorful ambiance and the need to share this part of the world with book lovers. As I began to paint this African adventure on paper, my sons, 17 and 15 ( now 24 and 22) nudged me with their support and their instant enjoyment of the plot. Every time I would complete a chapter, they wanted more. They wanted to see what would happen to the characters. More importantly, they were intrigued by the description of the African setting, the culture of the people revealed through the different characters and the blended families relayed by the characters. Different characters elicited different emotions as they read alongside other young adults reviewing the story. Alright another question I have been asked by my one of my readers: Tell us your favorite scene in your book. First my answer to that is that as a writer, you love your characters… period. Just like a mother, you really don’t love one over the other, at least, I don’t. Likewise with Of Sentimental Value, I lived and breathed every chapter for well over a year and have become very fun of them all. It was fun unveiling the mystery woman and her vendetta against Siberia. And throwing this in as a bonus to my readers… and other authors like myself who have asked where I usually harness my story ideas: Friends and family members have often described me as being colorful in my description of events. I love going places where most have never been; bringing great and new adventure to my readers. In Of Sentimental Value, I want my readers to be transported from the western world, USA, to Africa, a place where they’d never been before. I want them to see how other people live in other parts of the world… I want them to also see how people like them, who have travelled to live in Africa… how they adjust to the culture and setting. My trips back and forth from Africa have convinced me that there are extraordinary stories there… stories which could potentially be back drops to my fiction novels. 20 Electronic autographed posters of the movie. 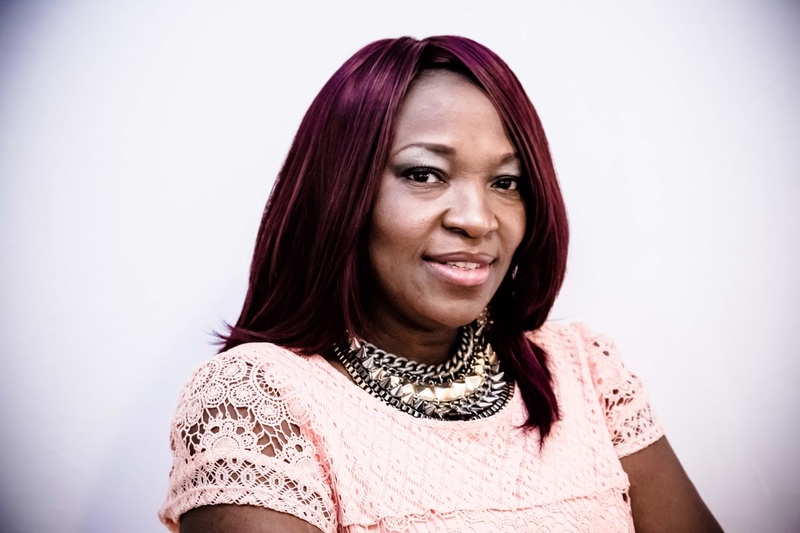 Bestselling Author, NAFCA African Oscar People’s Choice Winner, Indiefest Films Merit Award Filmmaker, TV Host, Transformation Interventionist and Philanthropist are just a few accolades to describe this dynamic woman. Born in the heart of Nigeria, Lagos State; Princess Fumi Hancock was raised to appreciate her royal roots from the South Western region of Nigeria, Emure Kingdom, where her family, the Adumori Nigeria Royal Household have ruled since the 1800s’. After acquiring her first degree in English from one of the most prestigious colleges in Nigeria, Obafemi Awolowo University; she stormed the United States of America with a pen, a script and the dream to change the world. Little did she know that it would take her over thirty years to finally fulfill her dream of becoming a prolific writer and most importantly, one who would have the ability to translate her literary works into movies. As an author, she has written several inspirational books for women, Beyond Idol Worship: A Diary of an African Warrior Princess; Starting Right Now to name a few! After writing these inspirational books and her return back to African after over 25 years absentia; she reaches out to help her community through her US based nonprofit organization, Adassa Adumori Foundation, Inc. (www.adassafoundation.org); she also decided to venture into the world of young adult fantasy. To her surprise, her very first young adult fantasy, The Adventures of Jewel Cardwell: Hydra’s Nest became an amazon bestseller! There has been no stopping her since then. Her new novel, Of Sentimental Value, a mystery and suspense drama is yet another landmark for her. The book was made into a feature film which is scheduled for release soon (www.ofsentimentalvaluemovie.com ). In the advent of its release, it has garnered multiple award interest. It was nominated in the NAFCA African Oscar Peoples’ Choice category for Favorite Trailer and Original Score while the Princess took home the winning trophy as Favorite Screenwriter. 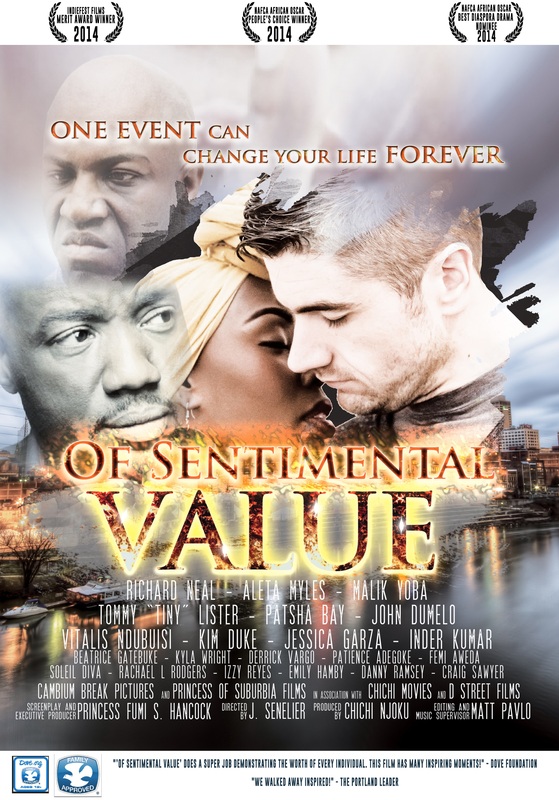 Since then, the movie itself has been nominated in the following categories: Best Diaspora Drama and Best Make-up. One of our supporting actors, Malik Yoba was also nominated as Actor in Foreign Film category.